Want to make some last-minute pips this week? 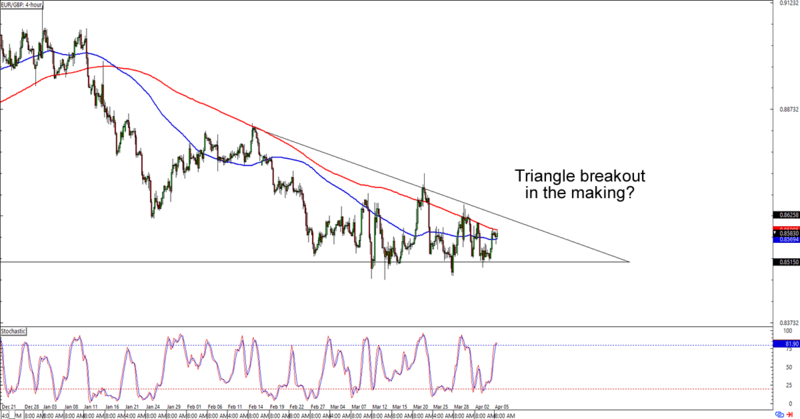 If you’re game, then you might want to check out these patterns on EUR/GBP and AUD/JPY. Get ’em while they’re hot! Triangle alert! As you can see, EUR/GBP has fallen significantly since the 100 SMA crossed below the 100 SMA. While the pair is still being contained by the moving averages, it’s also trading tightly enough these days to form a descending triangle on the 4-hour chart. Will the euro weaken further against the pound? Or will the bulls rally and push for an upside breakout? I’m not seeing any breakout just yet, so y’all still have time to whip up your trading plans no matter what your trading biases are. AUD/JPY is about to knock on the 79.75 area again, which is interesting because the level had served as support AND resistance in the past. This time around, the potential resistance bounce is supported by a 100 SMA retest and stochastic flashing an overbought signal. Shorting at the earliest signs of bearishness could get you a decent amount of pips especially if the resistance holds up and the Aussie finally dips below its February lows. If you’re one of them Aussie fans, though, then you could also wait for a break above the resistance that we’re watching and aim for a trip back to the 83.50 previous resistance. What do you think? Which way will the Aussie go? 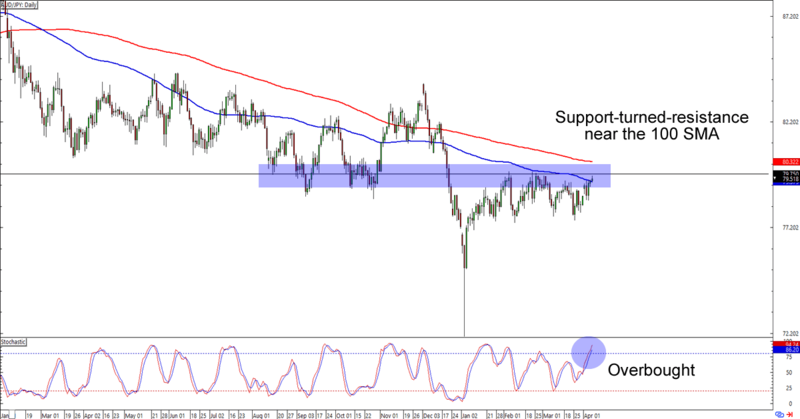 Anyone planning on trading AUD/JPY today?